As more and more women take up golf, more options are available for giving your favorite lady golfer a gift she'll love. It's easier than ever to find a present that fits the personality and taste of its recipient while still working with your budget. 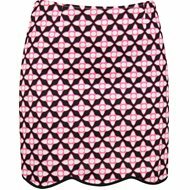 Golftini skorts are great examples of stylish yet functional women's golf apparel that's both practical and fashion-forward. These skorts are made from a stretch fabric that moves with the swing. There are also back pockets for a scorecard, a hidden tee pocket, and front pockets to hold anything else. With a wide variety of colors and styles, you're sure to find something she'll like. 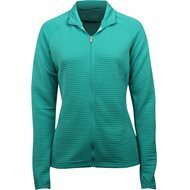 For those dedicated ladies who won't let a chill in the air keep them from the course, outerwear like this Adidas Essential Textured jacket will be a welcome wardrobe addition. It's made of a soft, textured fabric comfortably moves with her swing. Hand warmer pockets and sleeves with thumb holes in the bottom provide the extra coverage needed to stay toasty during those cool rounds. 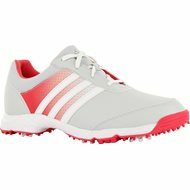 The Adidas Tech Response women's golf shoes are a running shoe style with golf course performance. Six spikes on the sole pair with spikeless cleats to deliver superior traction. Inside the shoe is a Cloudfoam EVA sockliner that provides all-day comfort. Lightweight mesh on the upper let her feet breathe during warm days. Choose from several colors to go with any outfit. A great gift for the beginning female golfer on your list is a Callaway Complete set. 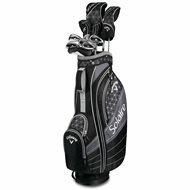 Sets, like the Solaire 18 11-piece set pictured have everything she needs to get golfing. They come complete with forgiving woods, hybrids, irons, wedges, putter and stylish cart bag. Knowing precise distances to the hole help any golfer play better. 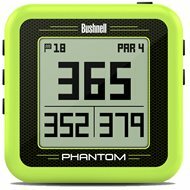 The Bushnell Phantom GPS is extremely easy to use. It comes pre-loaded with over 36,000 courses and automatically knows which course you're playing. The display gives you distances to the front, middle, and back of the green as well as up to 4 hazards per hole. It comes with a clip to attach the Phantom to a golf bag or belt. The back is also magnetic, so it can easily attach to a metal surface on the cart. Mark Twain once said the "Golf is a good walk spoiled." Cearly he didn't have one of these Sun Mountain Pull carts for his rounds. Whether you opt to gift a 3-wheeled pull cart like the Speed Cart GX 2019 or a 4-wheeled car like the Pathfinder 4, she'll get a stable cart that has plenty of storage with room to add on accessories. There are also plenty of colors to choose from. Golf gloves make great gifts because every golfer can use one and they're often very affordable. 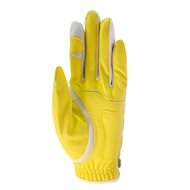 The Zero Friction Synthetic Golf Glove is a one-size-fits-all glove made of synthetic, mesh, and lycra material. A detachable tee and ball marker keep these essential items close at hand. There are also lots of fun colors to up her style factor on the course. 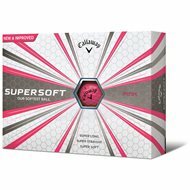 One of the easiest gifts to give is a package of Personalized Callaway Supersoft Pink Women's Golf Balls. They're super soft, durable, and built for speed. Specify a name or a message and this pack of a dozen balls will be ready for gift-giving. The maximum text is three lines with 20 characters per line. Wether she's on the go or headed to the course, these Callaway luggage bags will transport her things with ease. 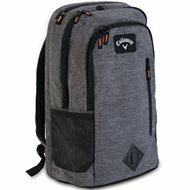 Choose from drawstring backpacks, messenger bags, or a traditional backpack like the Clubhouse backpack pictured. 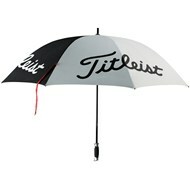 The Titleist Single Canopy umbrella makes for a very practical gift. Opening to a whopping 56 inches, this umbrella protects her from the sun and rain. The alternating white and black logo and background colors are sure to turn heads. 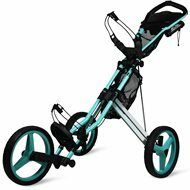 The best golf gifts for women golfers are those that balance feminine styling with athletic performance. An element of fun doesn't hurt, either.